Baywatch, the long-running hit TV series, will be available on Amazon Prime Video in the US, Canada, and Australia starting this Sunday, January 20. This year marks the 30th anniversary of Mitch Buchanan (David Hasselhoff) training his first team of lifeguards. Originally filmed in 35mm, Baywatch will now be available in high definition, and 350 original songs have been created to score the iconic Baywatch montages. The original creators and executive producers of Baywatch, Michael Berk, Greg Bonann and Doug Schwartz personally oversaw the remastering of their classic series. 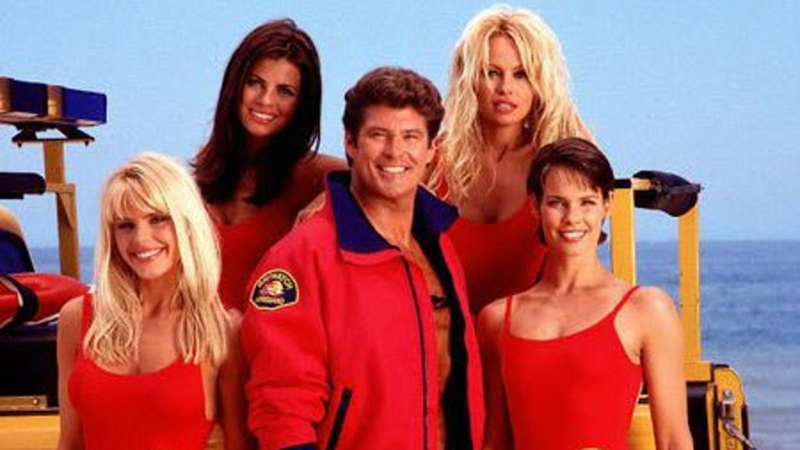 First airing in 1989, Baywatch was awarded a Guinness World Record for having the largest global TV audience in history. The show follows a group of elite lifeguards on the pristine beaches of Malibu, Southern California, as they save lives and uplift the community around them. Baywatch stars David Hasselhoff, Pamela Anderson, Carmen Electra, Gena Lee Nolan, and Yasmine Bleeth. The series was initially not a success and was cancelled after a single season. Plans were made, however, to move Baywatch into first-run syndication and, in 1991, Baywatch returned to the airwaves where it continued for a full decade, bringing in new cast members like Yasmine Bleeth and Pamela Anderson. The show also received a short-lived spinoff, Baywatch Hawaii. In 2017, a Baywatch feature remake debuted starring Dwayne Johnson and Zac Efron for Paramount Pictures. The movie was directed by Seth Gordon (Horrible Bosses, Identity Thief). The film follows devoted lifeguard Mitch Buchannon (Johnson) as he butts heads with a brash new recruit (Efron). Together, they uncover a local criminal plot that threatens the future of the Bay.